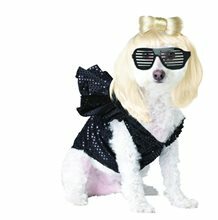 Lady Gaga Pet Costume; Lady Gaga Pet Costume includes blonde wig with bow, novelty glasses and ruffled body suit. 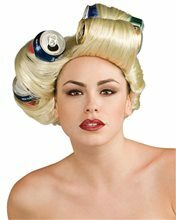 Lady Gaga Soda Can Adult Wig.Includes: One Lady Gaga Soda Can Adult Wig. Available Size: One Size Fits Most Adults and Teens. *Costume and Accessories Not Included. Sold Separately. 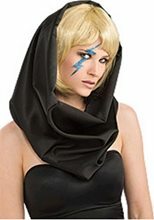 Lady Gaga Adult Soda Can Wig is light golden in color. 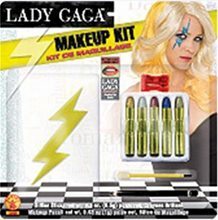 It can go perfectly with your lady gaga costume. 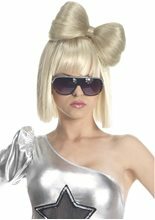 Complete your popstar costume with this Extra Large Hair Bow Blonde featuring jumbo blonde hair bow.